Let’s face it: America’s not a very healthy place these days. As a nation, we’re obese, sick, depressed, and unable to afford the skyrocketing costs of medical care and health insurance. While politicians debate solutions to the health-care crisis and doctors and psychiatrists dispense millions of prescriptions, Dr. Andrew Weil is taking a different approach to wellness. According to the best-selling author and Harvard Medical School graduate, each of us can take responsibility for and improve our overall health, starting now. His latest book, Spontaneous Happiness, offers simple approaches to cultivating both physical and emotional well-being. On Wednesday, November 16, Dr. Weil will appear at the Arlington Theatre to discuss the book and offer insights into the link between the mind and the body. In advance of his Santa Barbara appearance, Dr. Weil spoke with me by phone. You didn’t start out as an author. Was there an event in your life that made you want to bring your research to the public? Yes. I had suffered from moderate depression, especially in my twenties, thirties, and forties. As I’ve gotten older, it has receded. That shift was a gradual process, and some of it involved accepting occasional depressed moods. It’s normal for moods to vary, and it can even be valuable to spend time in a somewhat depressed state if it doesn’t disable you. For myself, I think creativity sometimes comes out of those modes. So I went through a process of accepting that and realizing that what medicine offered to counter depression was not something I was interested in. For me, regular exercise, dietary supplements, being in nature — all the things I discuss in Spontaneous Happiness — those are the things that made a difference. I generally don’t tell people to do things that I haven’t done myself. All of the things I’ve written about in this book are recommendations that come from personal experience. Who’s the target audience for Spontaneous Happiness? Well, it’s a pretty broad cross section, because mood disorders are affecting so many people today. In the first chapter of the book, you make a great distinction between cultivating deep contentment and “acting” happy for the benefit of others. Can you explain the difference? There’s a cultural expectation of happiness in our culture that’s completely unreasonable. It’s worth noting, too, that this cultural expectation is especially demanding around holiday time, which is coming up. Most people think that happiness comes from getting something you don’t have. When I hear the phrase “the pursuit of happiness,” the image that comes to mind is of someone chasing a mechanical rabbit around the track. Real contentment comes from inside, and that’s what we want to cultivate: internal serenity and resiliency. What’s one simple thing everyone can do to increase emotional health? You know, when I was doing research for the book, I was really surprised at the scientific evidence around the positive effects of feeling and expressing gratitude. There’s nothing in the way; you just have to remember to do it. The documentation of the lasting positive effects is really stunning. Can you explain the concept of “emotional sea level”? As with other things in the body there are natural cycles and variations in mood. We talk about being depressed — but depressed in relation to what? My sense is that that place of serenity and comfort should be the emotional sea level and that we can accept some fluctuation around that — periods of spontaneous happiness and periods of moderate depression. You just don’t want extreme oscillations. And for people who do experience extreme oscillations, are anti-depressants ever appropriate? I think for bipolar disorder, they absolutely are. For very severe depression, yes. But I think for most mild to moderate depression and in some cases of extreme depression, these other methods are as effective as antidepressants. I wouldn’t tell anyone to get off antidepressants without the supervision of the person who prescribed them and without having other things in place. But I think many people don’t have to be on them any longer, or can reduce the dose. Tell me more about the “anti-inflammatory” diet you discuss in this book — what’s on fire, and how do you recommend combating that? What’s on fire can be a lot of tissues in the body. Inflammation is the cornerstone of the body’s immune response, and it’s a very useful healing process, but if it becomes chronic can be destructive. Low-level chronic inflammation appears to be the cause of most diseases of aging: cardiovascular disease, Alzheimer’s, and cancer. Most people in our culture go through life in a state of internal inflammation. The mainstream diet, which is heavy in industrial foods, seems to contribute to this problem. The anti-inflammatory diet is a version of the Mediterranean diet, and I’ve made a few modifications to increase the health benefits. It is not a diet that denies you pleasure in any way. But what’s really interesting about it is the connection to mood, which was new to me when I was doing research on this book. It looks like when a person is depressed, there is an upswing in inflammation. So an anti-inflammatory diet can both help prevent and treat depression. Clearly America is facing a massive health-care crisis. What’s the light at the end of the tunnel? The whole system may have to crash before we rebuild something different. The integrative medicine I work on is a big part of the solution, for a number of reasons. It gives each of us some responsibility for maintaining our health. It can bring into the mainstream lower-cost treatments that aren’t dependent on expensive drugs or equipment. And along with real health education, it can give people confidence in their bodies’ own healing abilities. 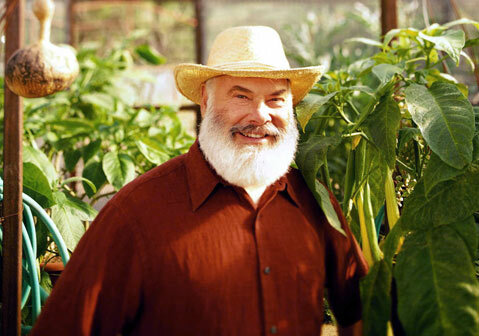 Dr. Andrew Weil will appear at the Arlington Theatre on Wednesday, November 16, at 8 p.m. For tickets, call (805) 893-3535 or visit artsandlectures.ucsb.edu. To learn more about Dr. Weil and his new book, visit drweil.com or spontaneoushappiness.com.